2007 Chevy Silverado 3500HD 3LT Crew Cab 4x4 Dually Duramax Diesel Pickup Truck with only 91,000 original pampered miles that was used to haul a camper to Florida for the winter. 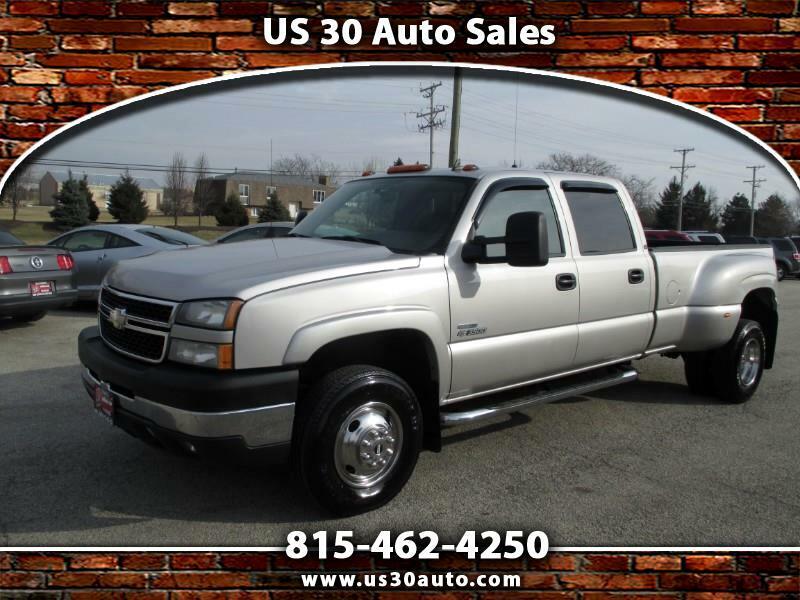 Rare and hard to find low mileage 6.6 Liter LBZ Duramax Diesel engine, Allison Automatic Transmission, Shift on the go 4WD, Heated power leather seats, Bose Stereo, Power windows, door locks, mirrors, seats, keyless entry system, tilt wheel, cruise control, delay wipers, center console, am/fm cd with steering wheel radio control, dula climate heat and a/c..... You won't find a nicer well kept and cared for Dually Pickup truck around. ...... Call today to schedule a test drive or apply for financing.